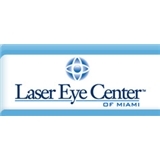 Laser Eye Center of Miami (Miami) - Book Appointment Online! At the Laser Eye Center of Miami we are dedicated to providing our Fort Lauderdale / Miami patients with state-of-the-art medical care for all of their cataracts, glaucoma and LASIK eye surgery needs. Our Miami LASIK center offers the most advanced vision correction technology including: Intralase laser for performing bladeless LASIK surgery and VISX Star-4 excimer lasers with three-dimensional eye tracking, used to perform LASIK and AST (Advanced Surface Treatment) surgeries, and Wave-Scan mapping for personalized precision and accuracy. For our patients' convenience we offer Saturday appointments for LASIK evaluations and pre-op examinations.